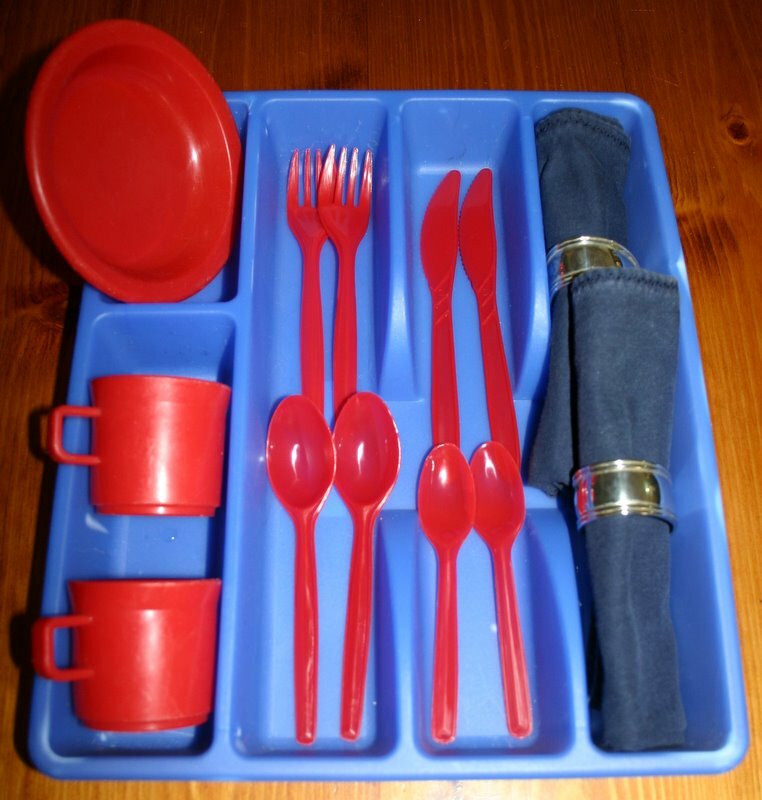 I use my Montessori style tray activities for highchair time with my young toddlers or during table time for my older children. 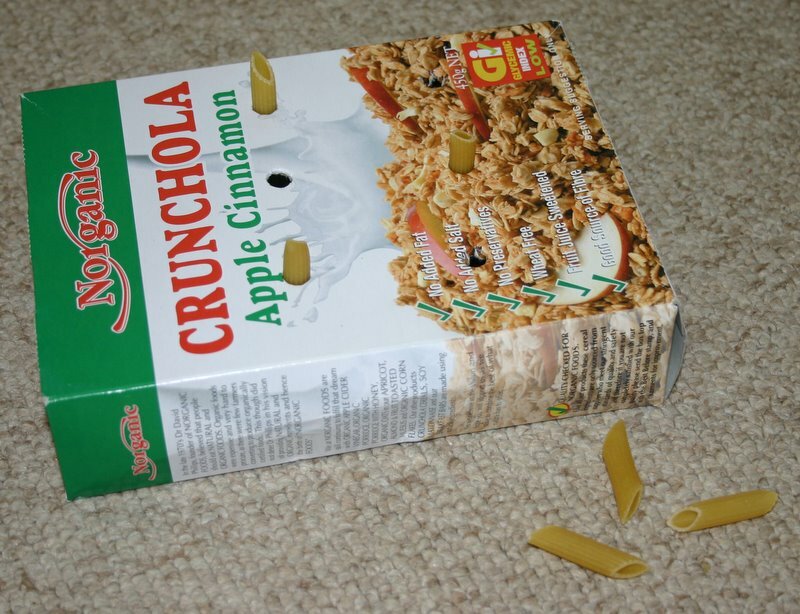 For those little ones who are “done” with an activity after only a minute or two, I have used a timer to extend them. I put it on for 5 minutes and let them know that I will give them a new activity to play with when the timer is done. They may choose to be finished with their current activity and just sit and wait for the next one or (and this is what usually happens very quickly) they will realise that since there will be nothing else to do until the timer finishes, they will choose to go back to the activity they have been given and work on it for a little longer. The timer I use is a visual timer so they can see how much time is left as it counts down. It also has an option to turn off the beeper so that if they have become engaged in a task the beep of the timer does not disturb their concentration. As they become more able to concentrate for an extended period, the time is lengthened accordingly and eventually the timer is no longer necessary. 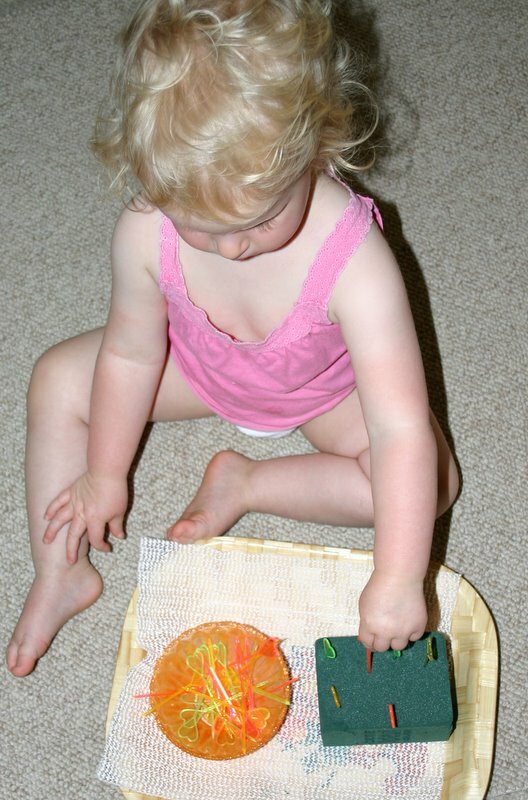 The older preschoolers who have developed sufficient self control and concentration are given the freedom to choose their own tray activity, take it to a designated space, work on the task, pack it up and return it to the cupboard before choosing another activity. If you are getting started for the first time with an 18 month to 2 year old, 5 minutes for each activity is reasonable and the entire session may only last for 15 to 20 minutes to begin with. A two year old will quickly work up to a 30 minute session, but still may need a change of activity after 5 minutes. If I was planning a half hour session of highchair time (long enough to cook dinner) I will organise the 6 activities I need to be on hand before I start. (It may be a good idea to keep them out of view to begin with to prevent their attention being diverted by another activity that looks more interesting!) As the child gets older, the complexity of the activities increases and their ability to concentrate without needing to change improves and therefore the number of activities I need to have ready becomes less. My 3 year olds will need only 1 or 2 different activities for a half hour period depending on what I have provided them with. They are also given some choice over which activity they work on. The other benefit of having toddlers sit in a confined area to complete these tray tasks is that I can give them breakable and delicate equipment without fear that they will be accidentally damaged and also keep an eye on them with small attractive materials like coloured beads that little children are quite likely to want to pop in their mouths. Now for some activities! Tweezer transfer activities are great for fine motor skills and require a similar grip to that used for pencil grip when writing. Transfer activities can easily lead into other beginning math skills such as sorting by colour. 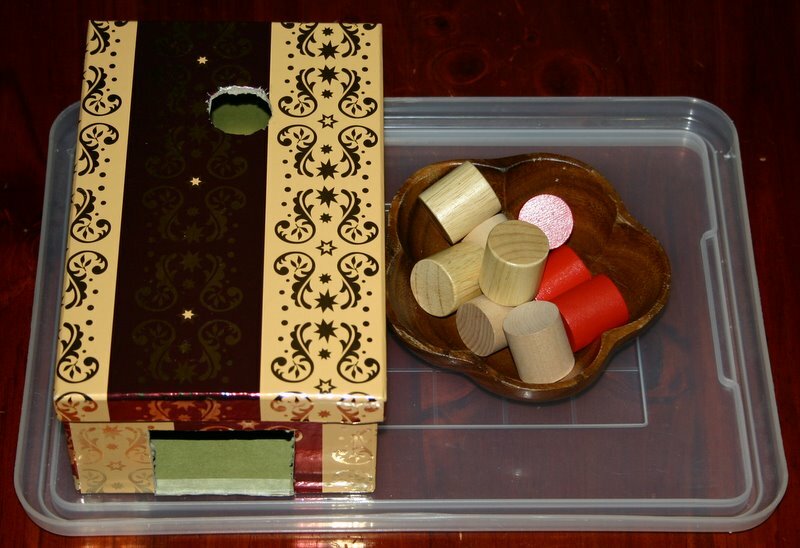 This duck container holds 4 colours of beads to be sorted into the 4 bowls. Younger children will have fun simply transferring them randomly and very young children may need a small spoon to transfer with, rather than the tweezers. 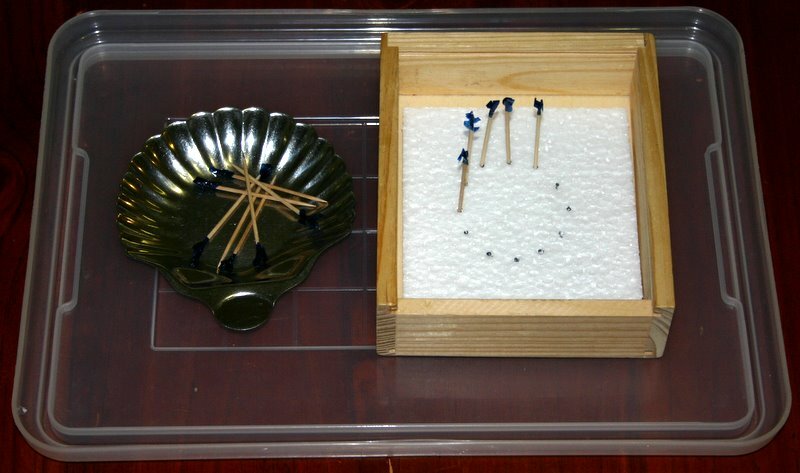 The follow-on activity was to place the toothpicks into marked holes to form simple shapes and then on to pictures. Keep the number of dots on each picture to a minimum for little ones. Too many make it difficult to get their hand in for the next toothpick. 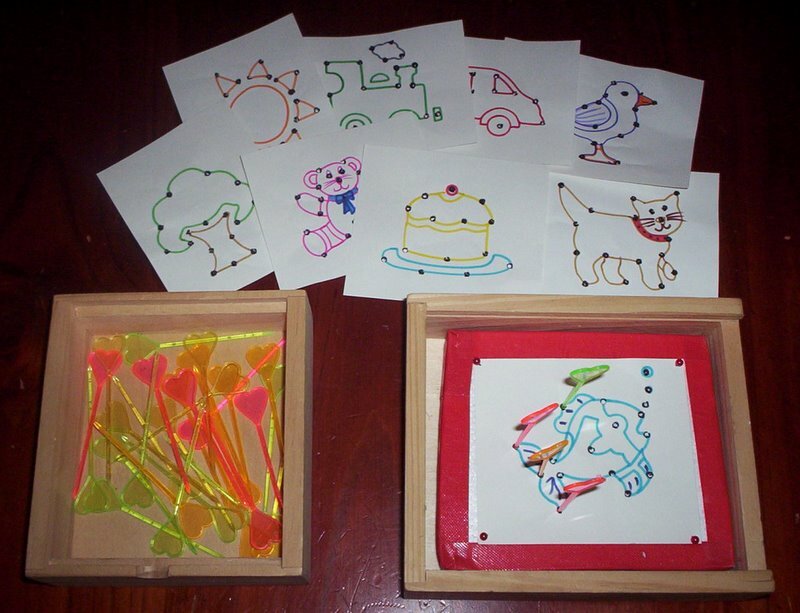 These pictures are drawn onto card and pinned onto styrofoam pieces cut to fit into the wooden box. Posting coins through money-box slots. 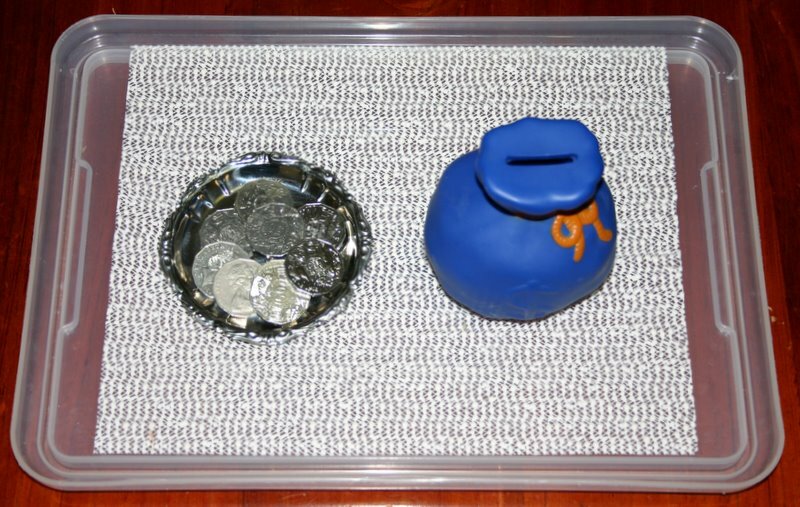 I left the bottom open so that the children can simply shake the coins out the bottom and do it again. 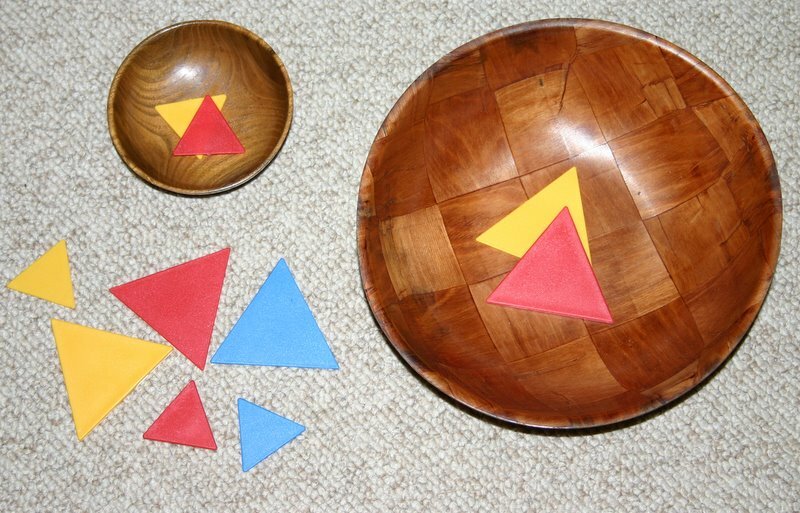 Posting wooden shapes is a good intro to shape recognition . Start with cylinders because it doesn’t matter which way the child puts it into the hole. Squares are next as they must line up but will still go in no matter which way up they are. 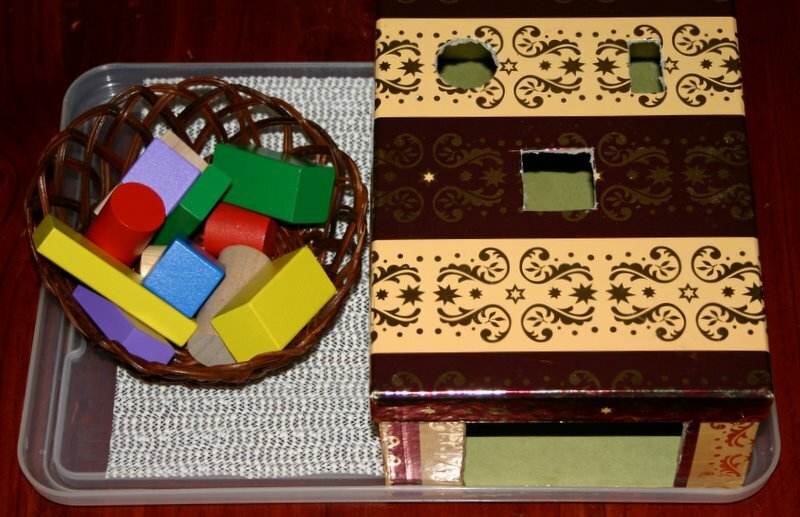 The open slot at the front of the box allows the child to reach in and/or tip the shapes back out and for the little ones is very much part of the attraction. Add other shapes such as triangles or a combination of shapes to increase the level of difficulty. This magnet activity is fun. 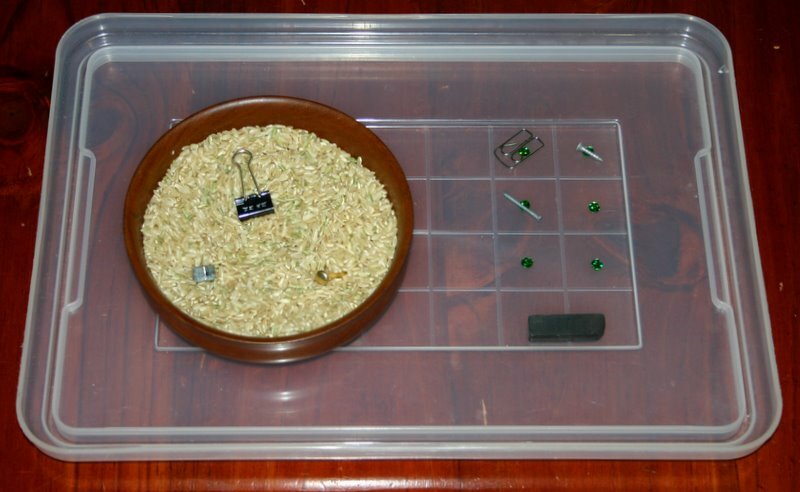 Hide lots of little items in a bowl of rice. 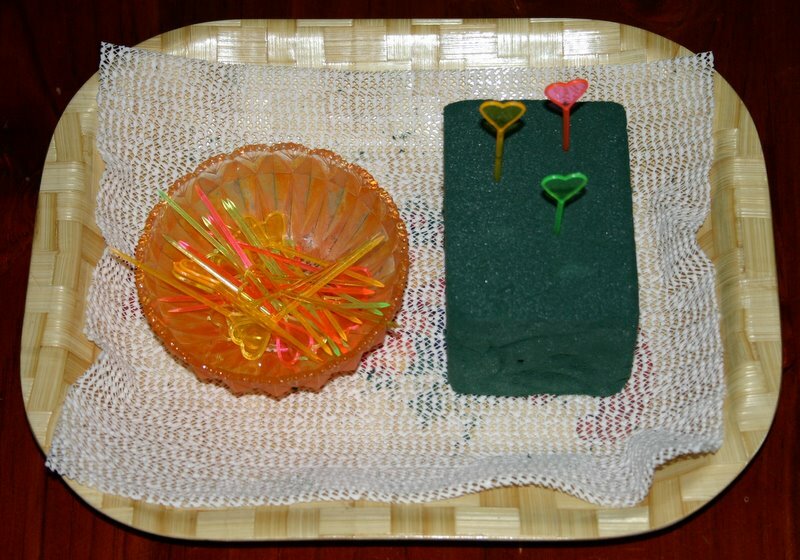 The child moves a strong magnet around in the rice to find which items will stick. The number of spots on the tray designates how many magnetic items they need to find. 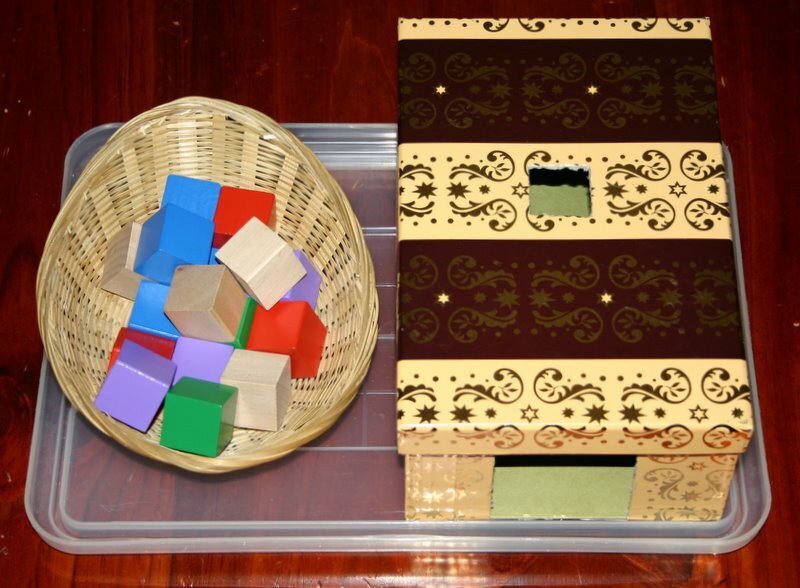 Sorting objects according to attributes is another basic mathematical concept. 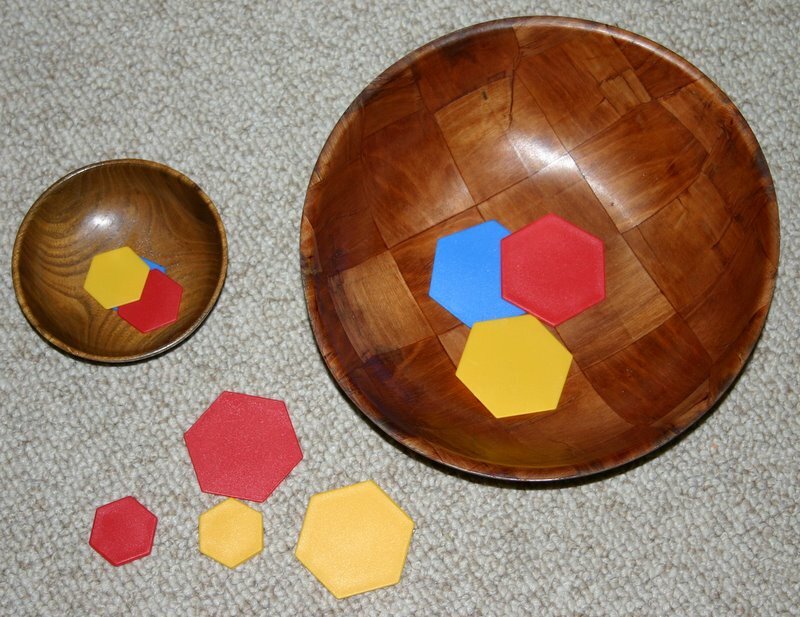 This beginning sorting activity has a large bowl for the large/big objects and a small bowl for the small objects. My just turned 2 year olds can usually handle this one. This one is for the very young. Babies do love to put things in and out of containers and if you keep changing the items and type of container, this style of activity is good for months. 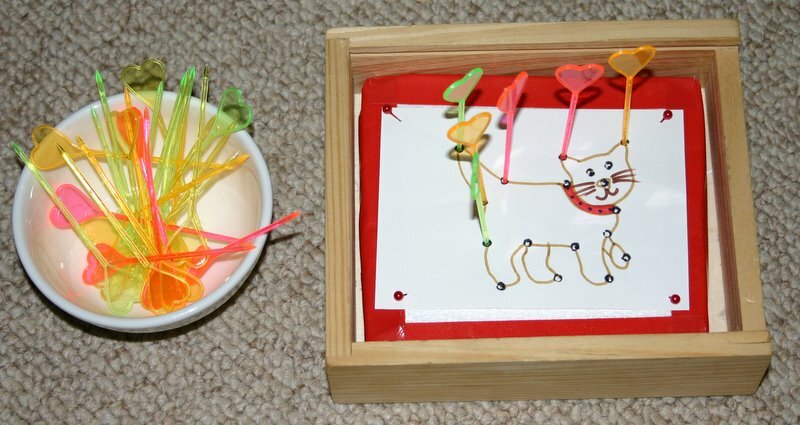 It is great for fine motor skills and concentration and pretty much free to make. Whip one up in just a minute or two and watch the intense concentration as they use that all important pincer grip (necessary for writing later) to grasp the end of the pasta and carefully post it into the holes. Use this activity for mat time, highchair time, table time or with straws (so they don’t eat the pasta when you are not closely supervising them) for playpen time or room time. With all of these activities, if your child finds them too difficult and is still frustrated after you have shown them how to do it and given them some time to practice, put it away and reintroduce it in a couple of weeks or months. Many of the Montessori style activities are very developmentally based and when introduced at the right time will be stimulating and extending to a toddler, not frustrating and overly difficult. Teaching young children to sit and concentrate for extended periods is a vital foundation for later learning and helps you as Mum to keep the house and family running as you can get your own tasks finished knowing that your little ones are happily and safely occupied with a valuable learning experience. Thanks for these ideas, Ang. Your website has been an absolute Godsend to me in recent months. I’m guessing you’re familiar with the Ezzo’s? We did their course when we had our first toddler, but I struggled with the ‘rubber hits the road’ aspect of implementing their ideas (ie how to keep a very active toddler occupied during highchair time etc). Your ideas and examples are providing order in the chaos the third time around! Thank you so much. Happy to help! Yes, we do implement the Growing Kids God’s Way parenting courses with our family and find them to be very helpful in managing our busy household.